I am not a particular fan of borrowing money. But the fact of the matter is, if you are a farmer, you need capital resources. This is the “business” part of farming. Borrowing money, even though it is business, is a very personal experience. You have dreams and aspirations of how you envision your farm. From buying land, to building barns and sheds, to machinery, to operating capital. And a bank or lending company has a lot of power because they will either say yea or nay. Because of that intimate business relationship, it’s important that farmers find the right fit. It’s very intimate because your lender knows everything financially about you (and many times, non-financial) and your business. They know how much you make and how much you spend. That’s why today’s post is about AgStar and how I feel they give a personal touch in regards to the farmer/lender relationship. AgStar is a financial cooperative. It is owned by it’s members, which means I am part owner. 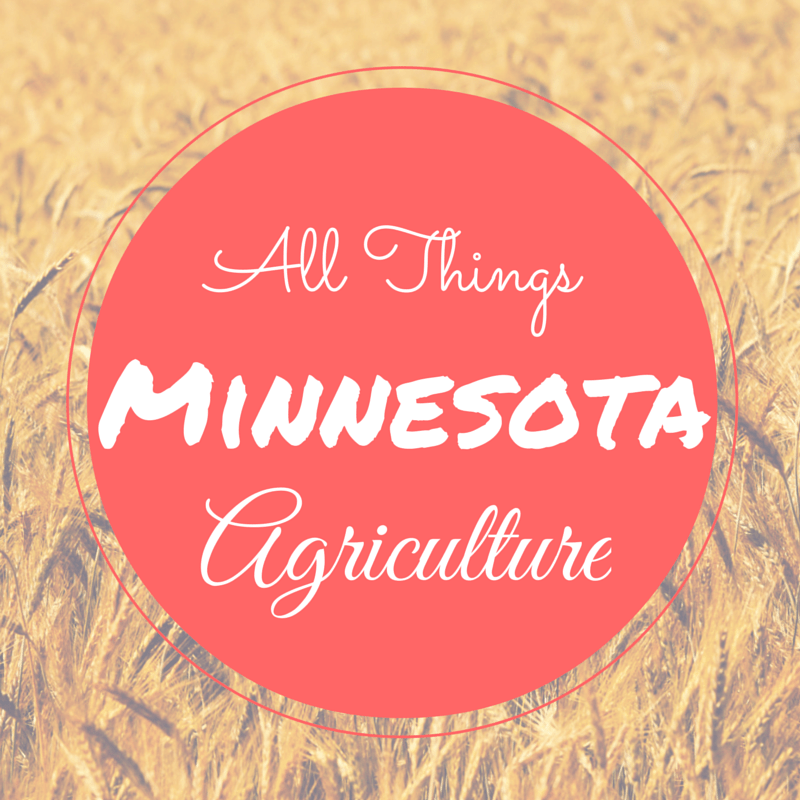 They provide financial services and business tools for ag in Minnesota and northwestern Wisconsin. I am also a member of their leadership advisory committee. This committee consists of farmer stockholders of AgStar and our purpose is to give AgStar leadership our perspective on what is happening locally, nationally and globally and how it is affecting us on the farm. It just gives AgStar leadership another perspective to help them stay up-to-date with agriculture. But what I really like best is the personal touch. When we meet with our loan officer, we never meet in his office. The office we meet in is my kitchen table. He comes to our farm where it feels less intimidating. I feel more comfortable sharing our dreams and aspirations for our farm in our setting. And I also like that our loan officer is involved in the community and a friend outside of AgStar. And he truly understands agriculture and I feel like we matter. Besides working with farmer clients, AgStar is also very visible in communities. AgStar has a fund for rural America to enhance the quality of rural living. A few years ago they were a main contributor to a livestock show building at the Minnesota State fair. They also want to encourage and help young and beginning farmers, as well as women in agriculture. They recognize these sectors as being very important to agriculture. Another segment of AgStar is their Edge, which is their education division to help farmers develop their business skills. A fairly new endeavor AgStar started is a “Women in Ag Blogger” network. I am honored to be a part of that. 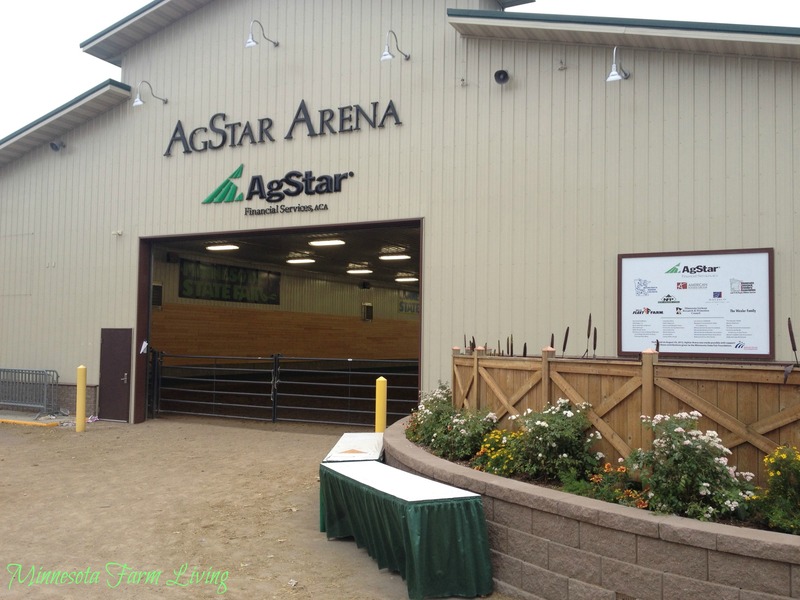 I write a blog post for AgStar a couple times a year. My last post was entitled, “A Letter to Every Farmer Under 35” came from my realization the recent downturn of corn and soybean prices and that not many young farmers have been through times like this. This is a letter from someone (me) who has been through this before and some words of advice. I realize AgStar is not the only lending institute. It is just the one that works for us. The most important part is that farmers find a bank or other lending institute that shares their values, one that wants to truly work with you and one farmers can have a personal relationship with. Because it really is personal business relationships that make farming opportunities possible. P.S. – They also give out harvest lunches! They started this local tradition about 10 years ago. 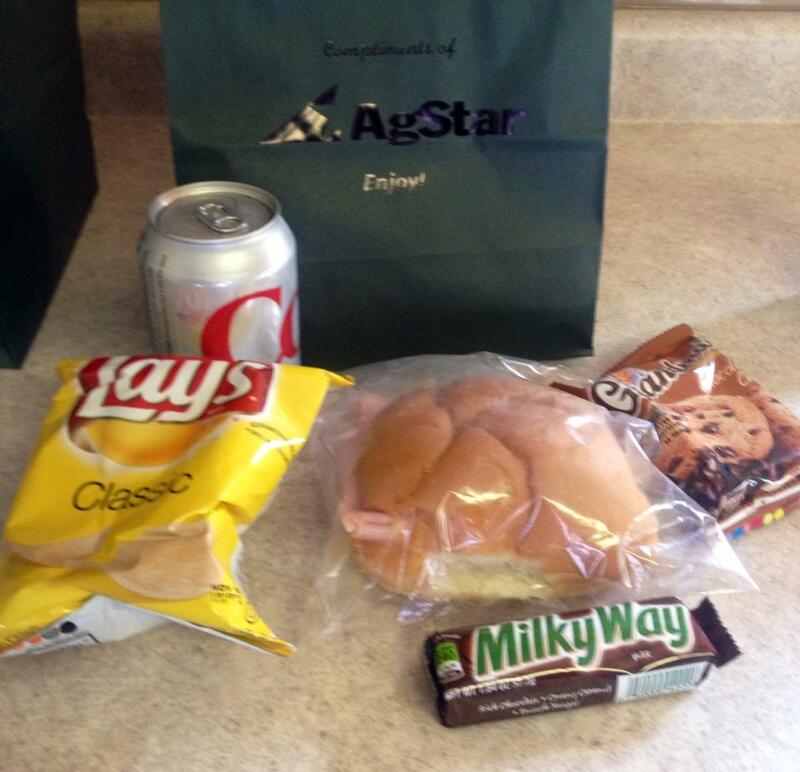 Just another perk by being a stockholder member with AgStar! Nobody treats us better than AgStar. Always fast, smart service! I’m so lucky to work for AgStar! Not only is my job super fun, but I have the good fortune to meet and learn from our wonderful clients like both of you, Rita and Wanda! I am glad you work for AgStar also! And I the whole team does a great job!